So I had a first scene for the Book That’s Not Happening, and it was a mess. Well, it was a first draft, they’re a mess by definition. And since this week’s Writing/Romance post was on beats, I thought I’d break down the opening mess into beats and revise it here. Because that would be a blog post. It’s been a bad couple of days so I’m behind on Argh, and I am nothing if not a multi-tasker. 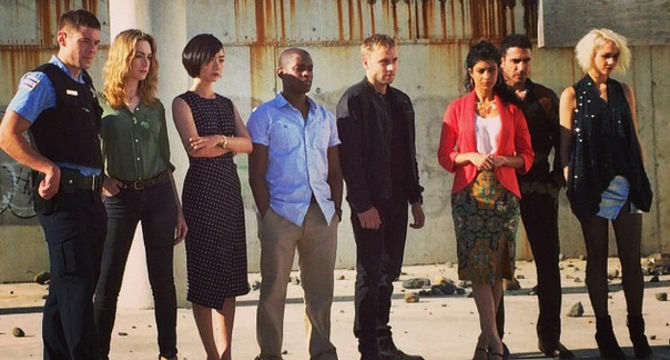 The Sense8 Pilot: “Limbic Resonance” WTF? This is really just me walking myself through the pilot trying to find a narrative pattern. There wasn’t one. It’s thinking out loud if you will. I’m not going to delete it because there’s good stuff in the comments, but I’d skip ahead to the Episode 1 and 2 post. I looked at Lavender Blue‘s first act and realized it was 46,244 words long.